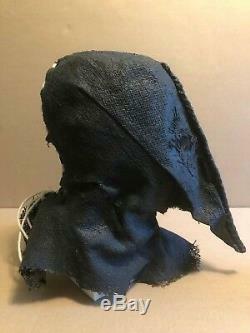 The Killer's screen-used Executioner's Hood from the soon-to-be classic halloween movie HELL FEST (2018). 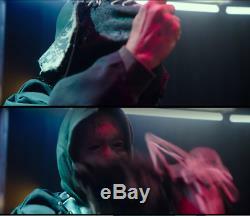 When Taylor (Bex Taylor-Klaus) volunteers to be mock executed as part of a stage show, a hooded "executioner" straps her into a stage guillotine. 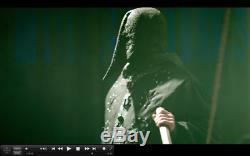 Unbeknownst to her, the executioner is actually the killer (Stephen Conroy), as he reveals to her after the curtains drop and he dramatically peels off his executioner's hood. 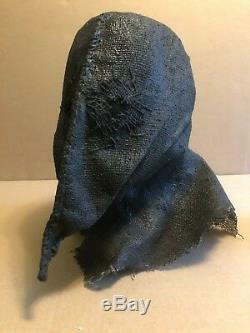 This is the screen-used hood that killer wears in this scene. 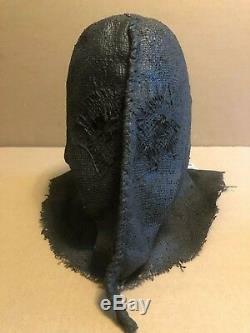 Constructed of burlap and latex paint, with steel grommets and a drawstring, this mask was custom made for the production and can be seen prominently in both the movie and the movie's trailers. 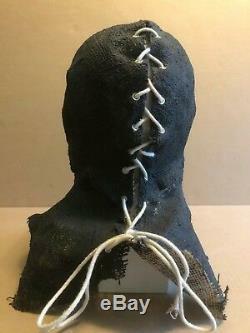 A creepy, macabre, and instantly identifiable screen-used prop that will be the centerpiece of your horror collection. Accompanied by a COA from Premiere Props. 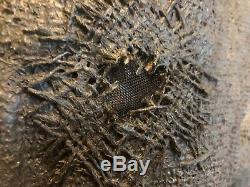 Note: although the COA notes that there are no eye holes, translucent mesh was used to maintain the actor's visibility. 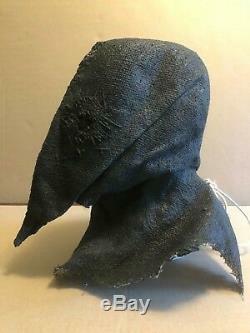 The item "HELL FEST The Killer's EXECUTIONER'S HOOD MASK movie prop screen used with COA" is in sale since Monday, January 21, 2019. This item is in the category "Entertainment Memorabilia\Movie Memorabilia\Props\Originals". The seller is "captainobvi" and is located in Glendale, California. This item can be shipped to United States, Canada, United Kingdom, Australia, France, Ireland, New Zealand.